They Make Great Ornaments, Too! 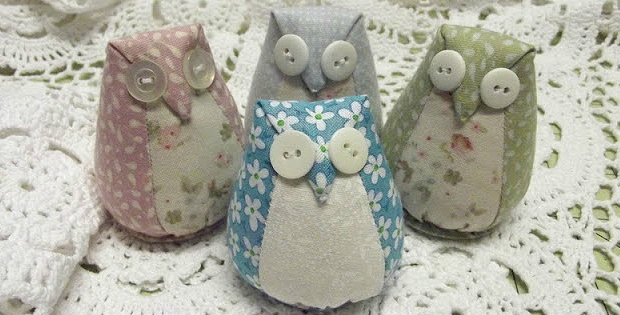 These cute little owls make delightful pincushions. They’ll also be fun as ornaments. Add a cord and hang them from the tree or simply set them on a shelf. We can imagine them peeking out from a centerpiece during the holidays or hung anywhere all year long. Just change the fabric to suit the season. Use fabric you love for a pincushion, and make a few extra while you’re at it. They’re simple to do and make fun gifts for quilting and sewing friends. 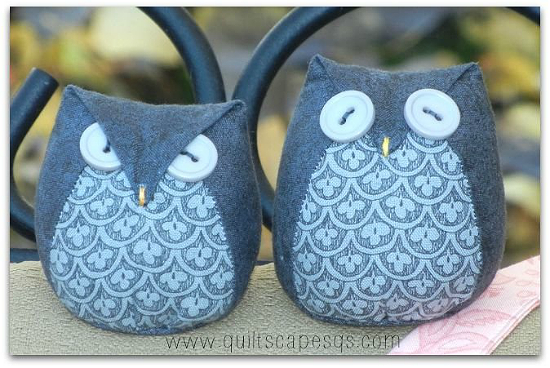 The following examples, from Geoff’s Mom Pattern Company, are very similar and show how the owls look in other colors. It will also be fun to play with buttons for the eyes. This is a great place to put vintage buttons to good use. 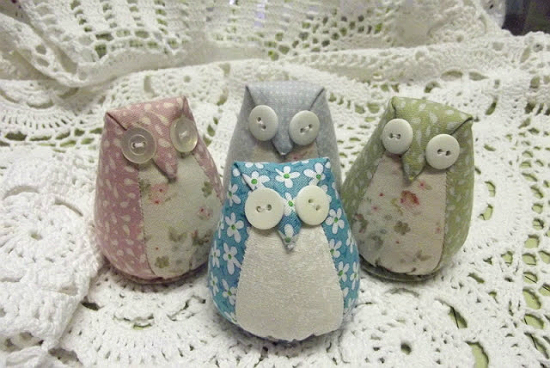 The finished owls, from At Home with Rosie, are about 3″ tall. 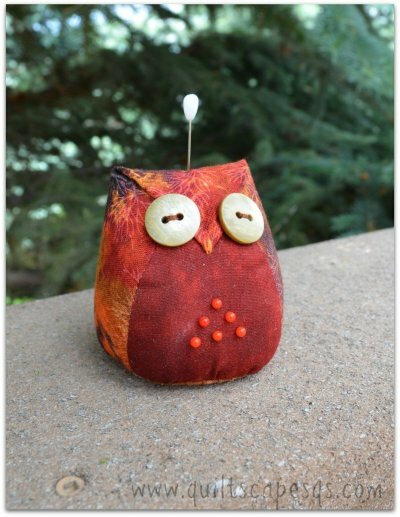 Click here for the “Make An Owl Pincushion” tutorial. You’ll also need the cutting template, which is available here. Never Forget What Needle is in Your Machine! Need Another Hand? Try This!